Where does our produce go? We sell our produce to four restaurants in downtown Carlisle: Spoons Cafe, Trattoria Piatto, Taquería Laurita, and Andalusia. Each restaurant focuses on providing the best quality meal by using fresh and local ingredients. Trattoria Piatto offers a traditional and authentic Italian dining experience. Their goal is for their guests to leave their restaurant feeling refreshed and energized after dining there. Taquería Laurita offers tasty, authentic Mexican Cuisine that is available for breakfast, lunch, and dinner. Open late, Taquería Laurita is especially popular among the night owls and Dickinson College students looking for a late night snack. Spoons Cafe specializes in homemade soups made from scratch, hearty sandwiches, and made to order salads. They also offer vegetarian and vegan options. Their vision is to provide healthy alternatives to eating out. 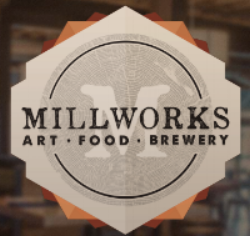 The Millworks is located in the Midtown area of Harrisburg, Pennsylvania. The restaurant features locally-sourced food and a seasonal menu that reflects what local farmers have to offer at any point in the year. We partner with two preschools in the Carlisle area. Both preschools buy produce from us at half price with the intention of feeding their kiddos healthy and nutritious meals by utilizing what we grow. Every Wednesday, a youth crew packages and delivers produce directly to each preschool. During the summer season, each Youth Intern has the chance to participate in public outreach at Salvation Army twice. For these events, youth harvest and prepare a meal using produce from our farm. This meal is then served to those in need by the youth at a Salvation Army dinner, allowing them the rare opportunity to follow their products from seed to plate in the setting of hunger relief.